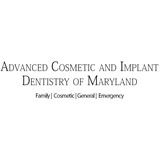 Advanced Cosmetic & Implant Dentistry of Maryland (Owings Mills) - Book Appointment Online! We are committed to providing quality healthcare to families located in the Owings Mills area and treat patients of all ages. We provide comprehensive solutions for our patients' oral health needs. Believing in the importance of listening to our patients, we take the time to truly understand each person's needs, goals, and lifestyle. By understanding our patients' objectives we can provide solutions that will improve their health while transforming their smile into something bright and beautiful.